We used to create mini downhill racetracks for my son out of cardboard tubes when he was younger. A pool noodle will work just as well. Step 1: Have an adult slice the pool noodle in half length wise with a knife so each half has a trough left from the hole in the center. You’ll have two mini downhill race tracks. 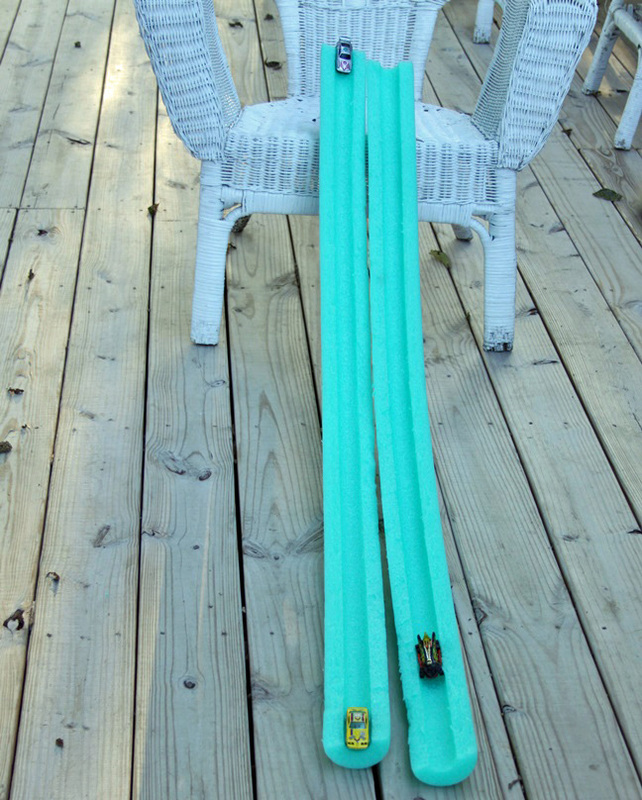 Step 2: Prop up your pool noodle race tracks on a chair or couch and place your race cars at the top. Step 3: Count it off and send the cars racing down the track. Step 4: Race your cars as many times as you want.